Hello Beauties! If you've been a reader of my blog for a while, then you'll have seen me bang on about the REN Invisible Pores mask, I literally cannot get enough of the stuff, so when I was asked if I would like to try out the Glycolactic Radiance Renewal Mask, I was keen to see how the two compared. 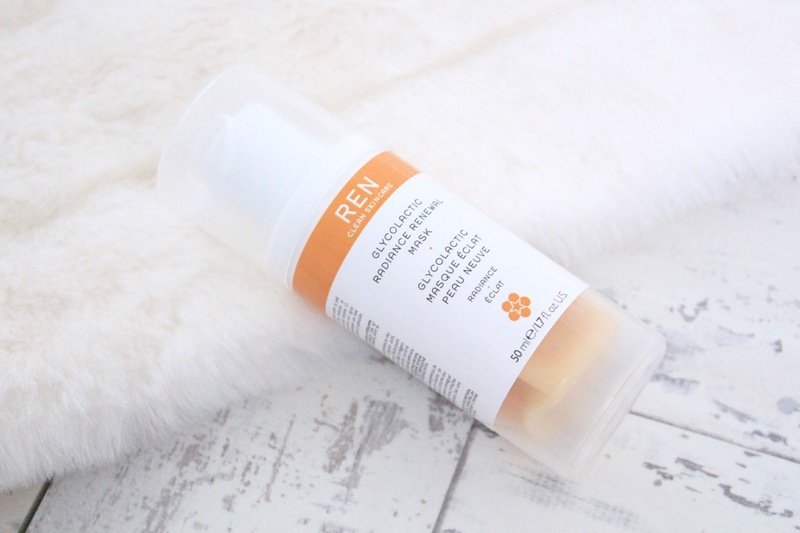 The REN Glycolactic mask is a potent bio active peel max designed to remove desk skin cells to renew the complexion, reduce the appearance of fine lines and combat congestion, blackheads and blemishes, which is what really got me interested in the mask. I have oily, congested skin which shows itself in the form of blemishes and black heads, so I was really interested to see if this kind of exfoliating mask would work wonders on my skin, compared to normal blackhead scrubs which I'm not a fan of. Firstly, I have to mention the smell of this mask. The REN Glycolactic Mask is a gloopy orange mask which smells of oranges and apricots, and all other kinds of citrussy goodness, due to the cocktail of fruit extracts which it contains. I much prefer this scent to the typical 'spa' like scents which masks have. The gloopy texture of this mask is what really surprised me, I'm usually one for clay masks or masks which set on your skin, that way it feels like they're actually doing something but this mask will just sit on your skin for as long as you leave it for, making it a lot comfier than a clay based mask but also a lot trickier to judge when to wash it off. But did it work? At first I was a bit disappointed in this mask. 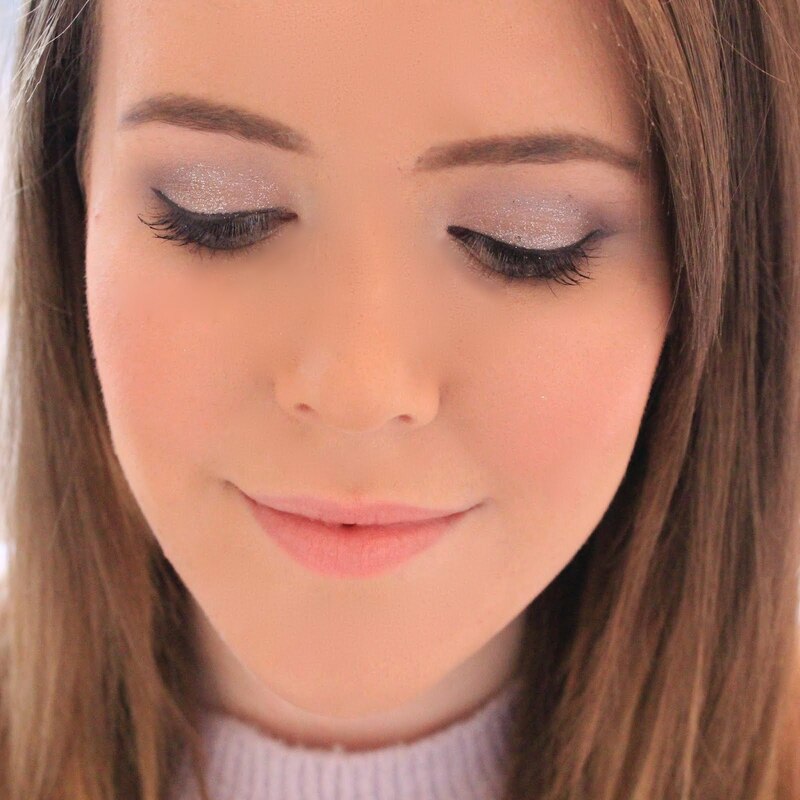 I'm used to face masks, such as Glam Glow Thirsty Mud and the REN Invisible Pores Mask, which give me instant results, but after using this my skin felt the tiniest bit smoother, but it didn't look or feel clearer or renewed. However, one or two days later, it was like my skin had transformed itself overnight. It was the clearest it's been in months at a time when it really shouldn't have been, it was completely smooth and my black heads were reduced, I was amazed. I have to give this mask credit for this as I hadn't changed anything else in my skincare, and every time I've used the mask since, I've had similar results with this mask. So if you're prepared to wait a day or two for amazing results, I'd definitely take a look at adding this mask into your skincare routine, your skin will thank you for it! However, REN do state that this mask is not suitable for sensitive skin and that you may experience some mild tingling when you apply it. I have to say, I didn't experience any of this and I have very sensitive skin, but I would approach this mask with an air of caution if you do have sensitive skin. This mask is available from the Birchbox Shop for £30, so a little more expensive than the Invisible Pores mask, but definitely worth it. I really really love the look of this mask, I may have to close my eyes and part with the cash for it! This sounds pretty good and I always love doing a face mask because they just make me feel so relaxed! That sounds great! I love face masks and defjnitely need to try this one! http://trendkeeper.me .. Prints and why I blog?! I really wanted to try this out! Glad to see that you got great results from it.